SPOKANE, Wash. — Gonzaga University’s pooled endowment achieved annualized returns ranking among the top 10 percent of higher education institutions nationwide for the past three- and five-year periods ending June 30, 2015, according to data from the National Association of College and University Business Officers. In findings released to participants, the NACUBO-Commonfund Study of Endowments, the most comprehensive study of the nation’s college and university endowments, indicates Gonzaga also achieved annualized net investment returns ranking among the top 22 percent of participating schools for the past 10 years and among the top 21 percent for the past year. For the past year, Gonzaga’s endowment earned a net return of 4.0 percent compared with the NSCE average of 2.4 percent among all 788 institutions participating in the study. Gonzaga earned a 12.3 percent return over the past three years compared with the NSCE average of 9.9 percent to rank in the 9th percentile among all 724 participating institutions. Over five years, Gonzaga’s 11.9-percent return topped the NSCE average of 9.8 percent to rank in the 7th percentile among the 702 participating schools. Gonzaga’s 10-year return of 7.0 percent outperformed the NSCE average of 6.3 percent to rank in the 22nd percentile among all 553 participants. The study provides insight into how both public and private universities are stewarding endowment gifts. Gonzaga has participated in the study for each of the past five years. University endowments aim to maintain the original gift value and create an investment return sufficient to provide an annual spending distribution and grow with inflation. Consistently strong investment performance is critical particularly to help offset the cost of higher education. At Gonzaga, approximately 98 percent of undergraduate students receive institutional financial aid, a portion of which is funded from the endowment, which provides an average distribution of approximately $1,300 per undergraduate student per year. Gonzaga’s endowment has more than doubled the past 15 years with a total value (including pledges) of $233.8 million (as of May 31, 2015). However, Gonzaga’s endowment value is dwarfed by many of its peer universities, some of which have endowments nearing $1 billion. Gonzaga launched a $250 million capital campaign in October 2015 with a goal of raising $100 million to double the number of annual and endowed scholarships for students with the most financial need. 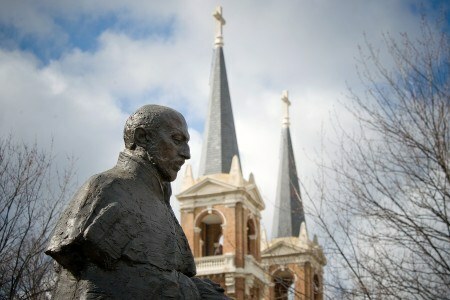 For more information about the Gonzaga Will campaign and Gonzaga’s endowment program, please visit gonzagawill.com. For more information, please contact Joe Smith, associate vice president for finance, at (509) 313-6801.